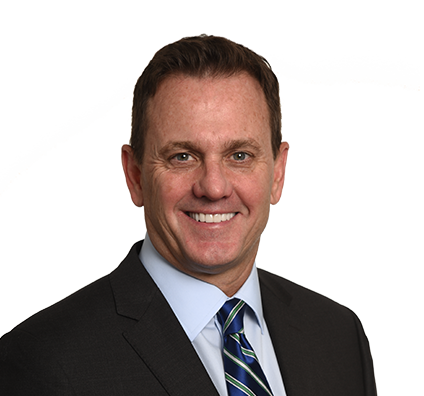 With more than 25 years of experience, Chris provides clients with sophisticated counsel in regulatory and legislative law, corporate communications and public risk strategy. His practice primarily involves managing public risk for electric energy companies and other large corporations through agency rulemaking, contested cases and legislative advocacy. He is heavily involved with all aspects of the competitive electric market in Texas and in issues related to electric generation, renewable energy development, transmission infrastructure and retail competition. Chris regularly advocates on behalf of clients before the Public Utility Commission of Texas and the Electric Reliability Council of Texas. In addition to energy, Chris represents clients in the healthcare, environmental services, real estate and land use, financial services, manufacturing, and agriculture industries before the Texas Legislature and has represented clients before a number of county and municipal governmental bodies across Texas. He also has directed legislative and regulatory activities for clients in Louisiana, Mississippi, Illinois, Ohio, North Carolina, South Carolina, Virginia, Iowa, Oklahoma and Kansas. He represented various pipeline companies, trucking companies and concrete and aggregate companies before the Texas Transportation Commission and Texas Railroad Commission. Before joining the firm, Chris was a Partner at Brown McCarroll. He also held executive positions at Exelon Corp. and Entergy Corp. At Exelon, he was responsible for coordinating the company’s marketing and strategic planning goals with its market development priorities and public policy positions. At Entergy, he created and implemented the public risk management strategy for $4 billion in power development projects in 14 states, as well as the joint trading and pipeline venture with Koch Industries. Previously, Chris was in charge of civic and state affairs for Continental Airlines and held staff positions in the Texas governor’s office and the Texas State Senate.